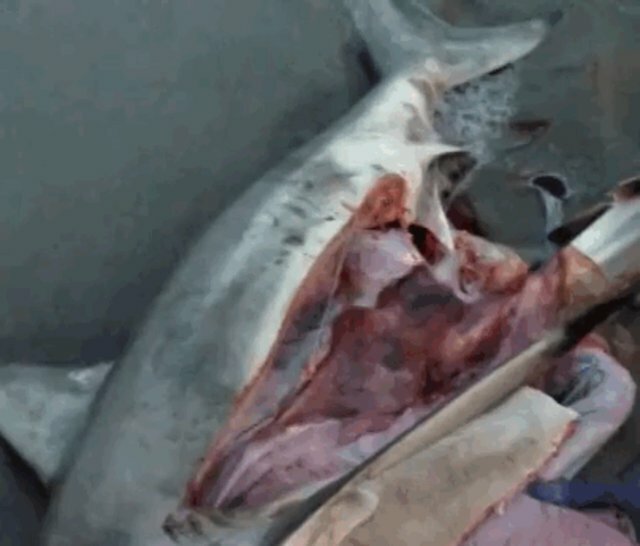 A beachgoer performed an emergency c-section on a shark, in a valiant attempt to save the lives of three shark pups whose mother, according to the video description, had perished and washed ashore. With words of encouragement from bystanders - "You won't go through the uterus. Just go on in!" 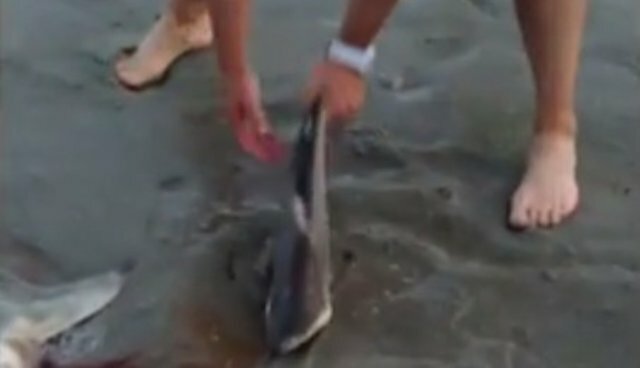 - the man excises the infant sharks using a knife and swiftly returns them to the sea, believed to be off the coast of Georgia. When handling sharks, U.K. conservation group Shark Trust cautions that, as they lack ribcages, sharks' abdominal organs must be supported, and sharks should not be held only by their tails. CORRECTION: A previous version of this article stated that the video took place in South Africa. It is believed to have been filmed in Georgia.